Today four members of Hartlepool Wadokai Karate Club start a road trip with a difference. They are meeting some team mates in Leicester, then jumping on one of a number of coaches that will be taking the entire squad to compete in the Federation European Wadokai Karate Championships in Liege, Belgium. 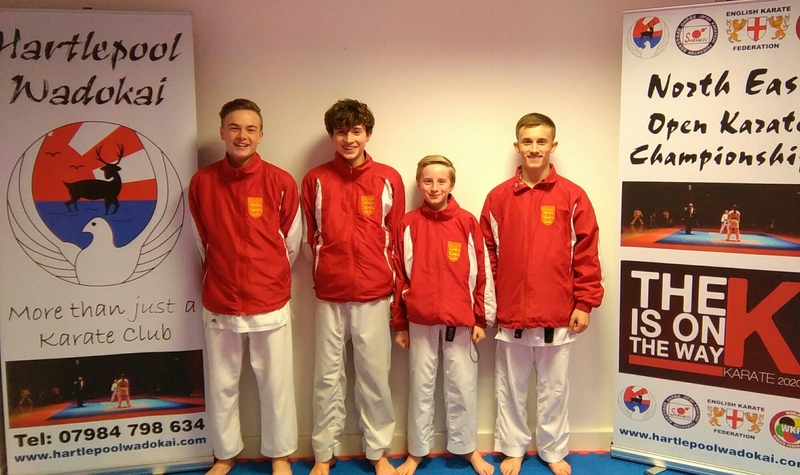 The Hartlepool Four are competing as part of the Wadokai England Team. Joe Flounders (12) is competing in Kumite (fighting), Joe Hind (14) Kata, Harvey Kerridge (14) Kumite and Kata and Lewis Muldown (18) Kumite and Kata. All four lads have worked their socks off this year to keep their England places, training at our Hartlepool Wadokai club a minimum of four nights a week, and most weekends. Including monthly England squad training in Leicester/Birmingham and entering regular competitions. They have been joined in this gruelling regime by fellow squad mates Mollie Cooper, Daniel Spires (who himself medalled in Portugal in July) and Paul White who aren’t competing in Belgium this year. They travel with the full support of their families, their team mates at the club and the town behind them. Go and smash it guys! Wadokai England is an organisation made up of hundreds of independent clubs/associations across the country. They all come together each month to train with some of the best Wadokai coaches in the country, headed by Sakagami Sensei, 8th Dan. 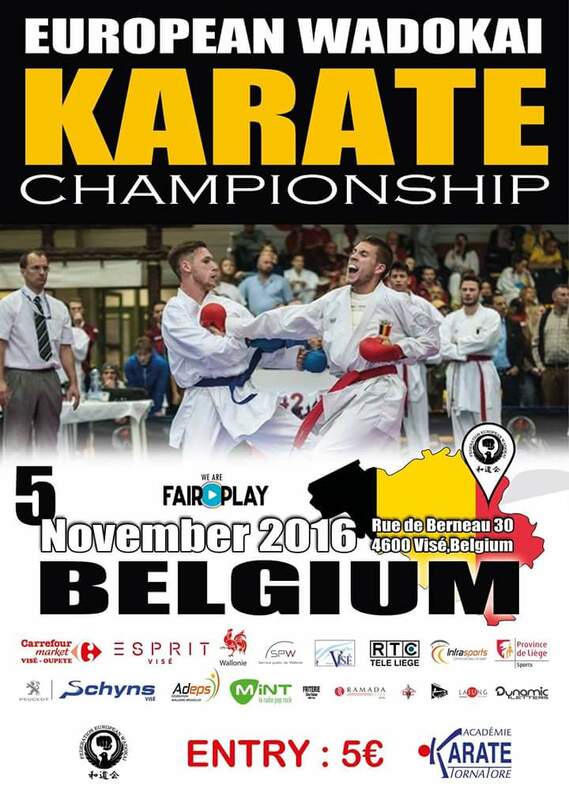 A squad is selected each year to compete at the European championships and to periodically enter the Wado World Championships. Wadokai England members are very active in Sport Karate, and the squad has a proven track record of giving athletes international competitive experience, before aiming for a spot on the English Karate Federation (all styles) national team. Some of the biggest domestic competitions are also ran by Wadokai England members. 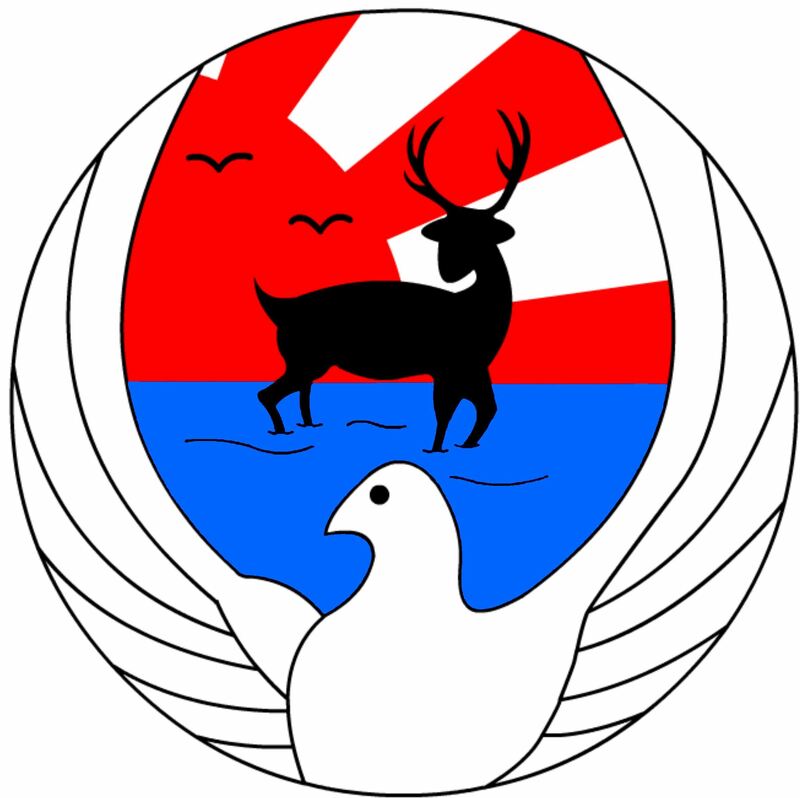 The organisation will also be hosting the next Wado World Championships in 2018. Hartlepool Wadokai is a family run, non-profit Karate Club. We have Karate classes for 5 years+ and Little Ninjas classes for 3-7 years. Beginners are always welcome at the club. The club also hosts the North East Open Karate Championships 2x per year & the Tyne & Wear Invitational Karate Championships at NISSAN. This entry was posted on November 2, 2016 by hartlepoolwadokai. It was filed under Uncategorized .